The network is targeted to sustainability/environmental staff working in the Nordic higher education institutions – both in administration and teaching. 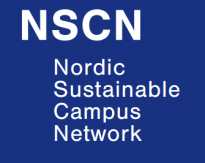 NSCN was created in 2012 to strengthen the sustainability efforts already in action in the Nordic higher education institutions. The establishment of NSCN was financially supported by The Nordic Council of Ministers.